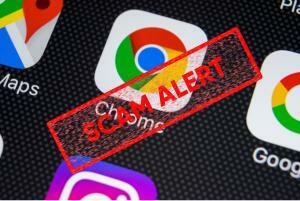 If you use Chrome as your iPhone browser, you need to be aware of a nasty malicious advertising bug by eGobbler which has so far hijacked more than 500 million user sessions. The bug allows malicious advertising, adverts that look legitimate but redirect users to phishing sites or malicious content. The bug bypasses your normal pop-up blocker and leaves you very vulnerable to identity theft or the possibility of downloading malware. As yet Google have not released a security patch for this bug and users need to be vigilant.